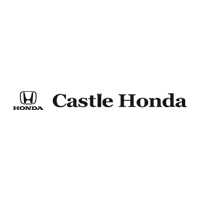 Buying your new Honda has always been easier with all the benefits offered by Castle Honda in Morton Grove, IL. Our new inventory includes a wide selection of Honda models so that each driver finds a car that will meet all their driving needs. With our numerous auto financing options for buying or leasing, every fan of Honda can sit behind the wheel of their favorite car. Take advantage of our new specials and apply for financing to get hands on a car or SUV at particularly low price and favorable payment terms. We have provided you with various online shopping tools so that you can plan your purchase of some of the fantastic Honda models from the comfort of your home. If you have already selected a model that interests you, you can check the amount of your monthly payment, via our online Payment Calculator. Simply type in the price of a vehicle, select a loan term and other requested information and in just a few seconds you will receive payment details based on the criteria you entered. After that, you can apply for financing right away, through our free online application, and our educated finance staff will soon be contacting you to discuss your financing options. For even more favorable purchase of your new car, use our ‘Value Your Trade’ application to estimate the market value of your existing vehicle that you can use to reduce the price of the next car you are buying with us.